Designed by Milo Baughman for the home of Thayer and Dot Coggin, our 1107 Design Classic lounge chairs are modern classics. 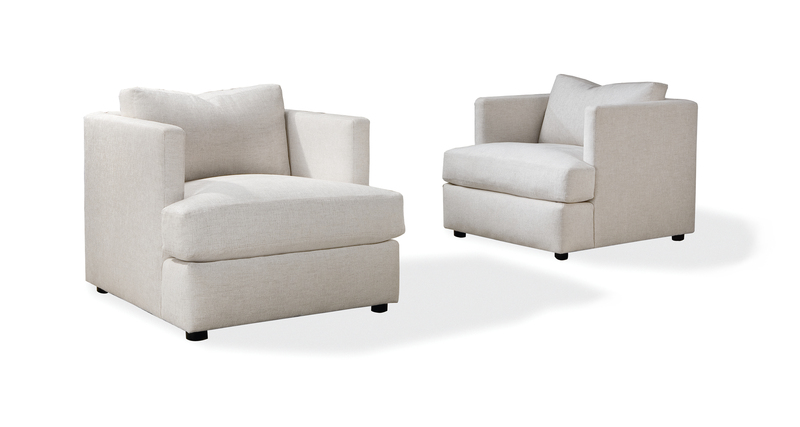 These crisply tailored cube chairs cut striking profiles from all angles and provide luxurious seating comfort. Choose any of our in-house curated fabrics or leathers for upholstery or provide COM. Hidden ebony legs standard. Pairs perfectly with our No. 1107-303 Big Love sofa.